We’re transforming the Queen Mary’s historic salons and spaces into Irish pubs for one night only. Traditional Irish music, Irish food, Irish drinks, and lots of Irish fun as you wander the ship. 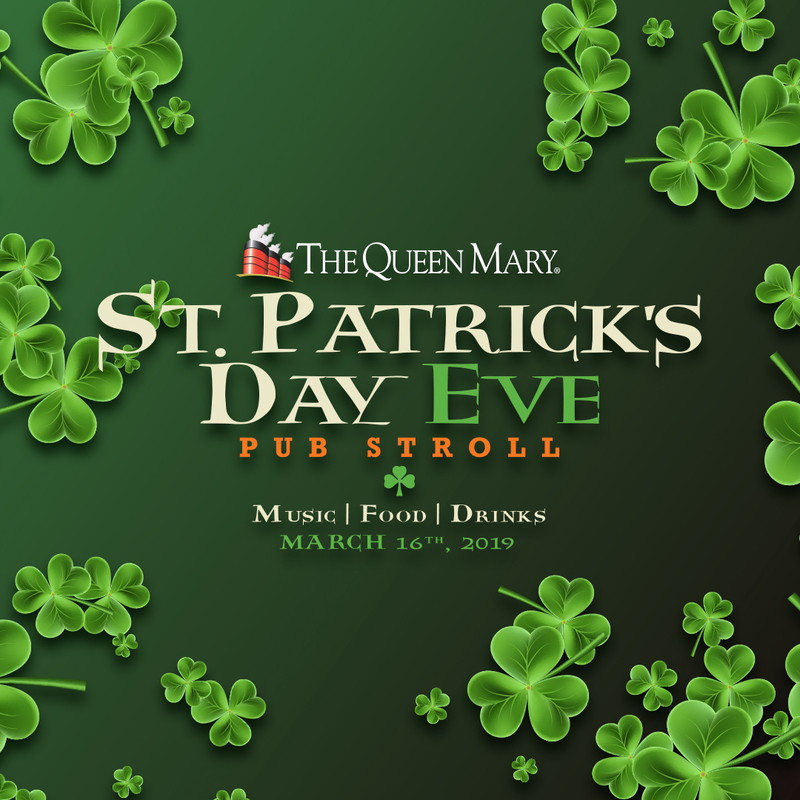 Ticket includes access to the ship and all St. Patrick's Day Eve event areas. Sláinte!